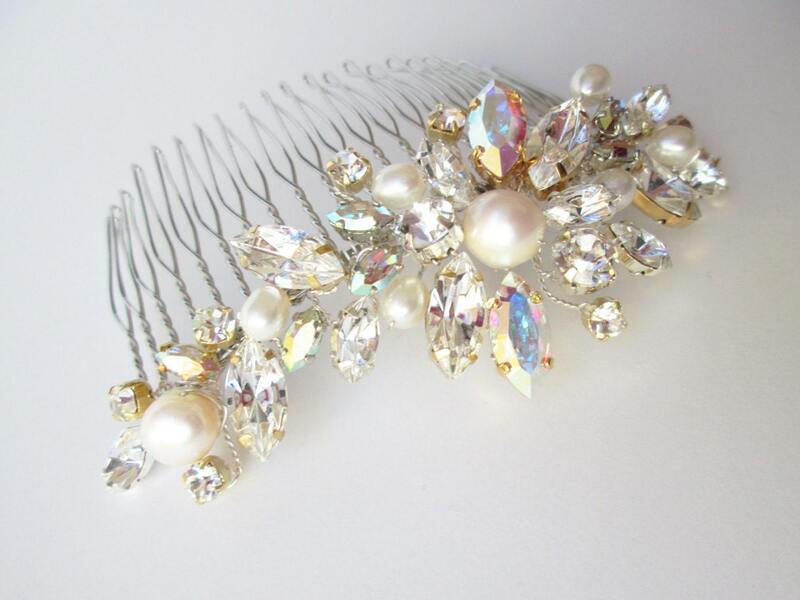 This fun hair comb is made with beautiful Swarovski crystals and cultured freshwater pearls. 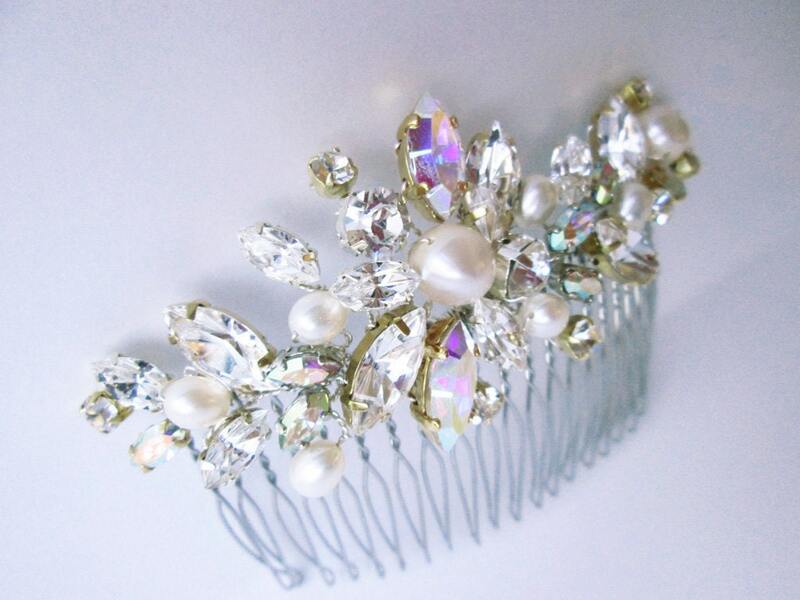 Made with a mix of gold and silver settings with clear crystals and aurora borealis (AB) crystals. 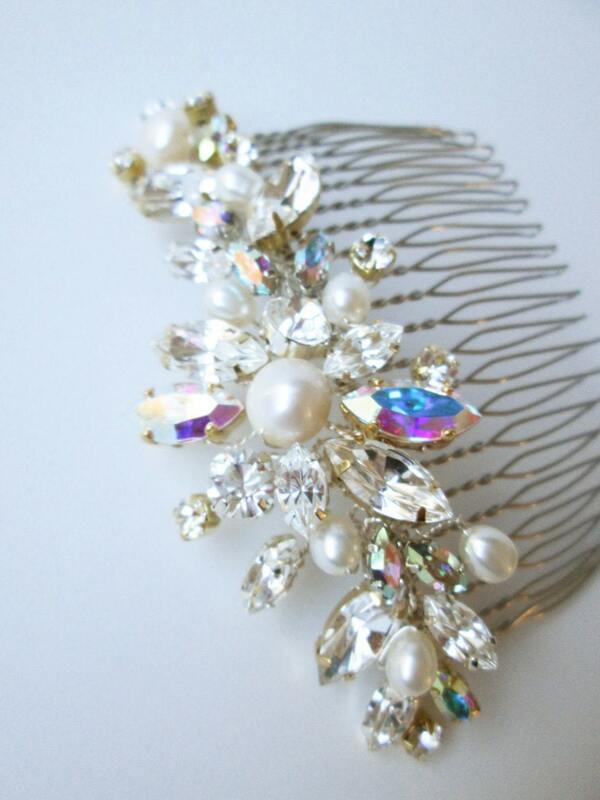 This hair comb measures about 5" long and 1 1/2" wide. 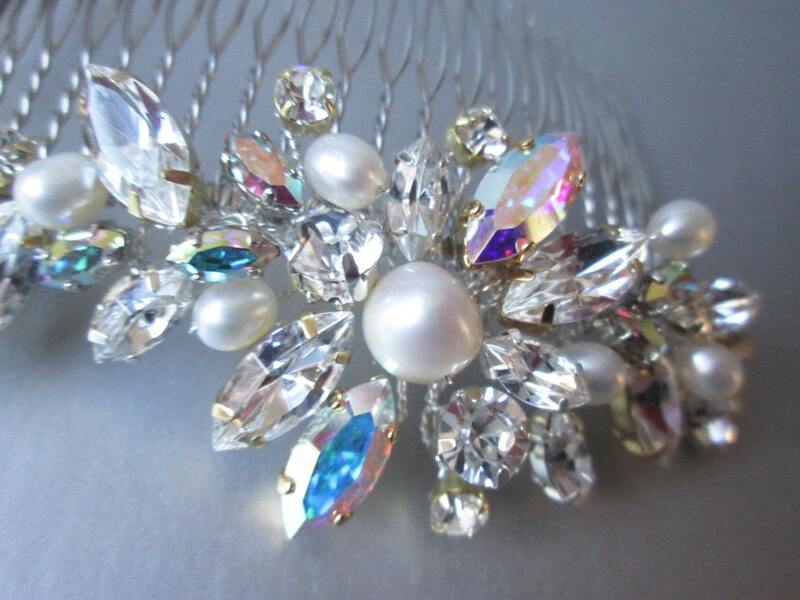 Very sparkly, fun and easy to use. 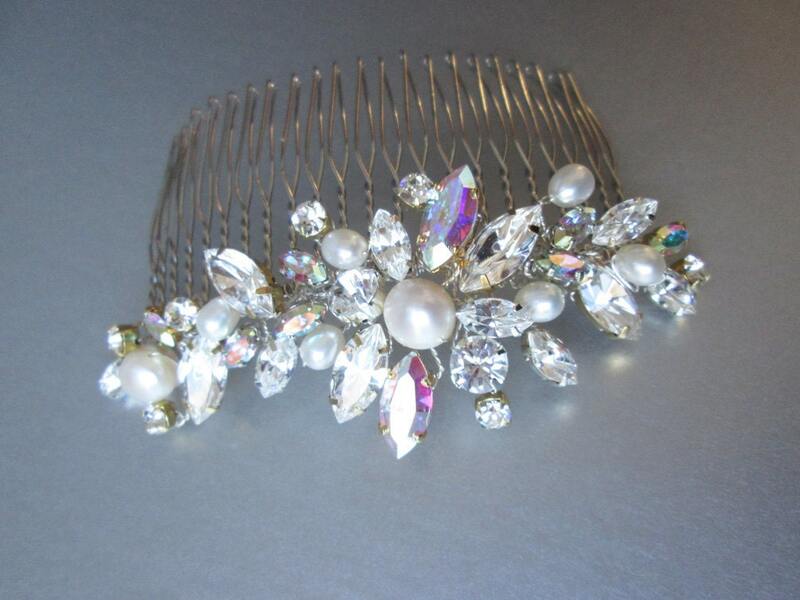 Also available in silver finish or gold finish.